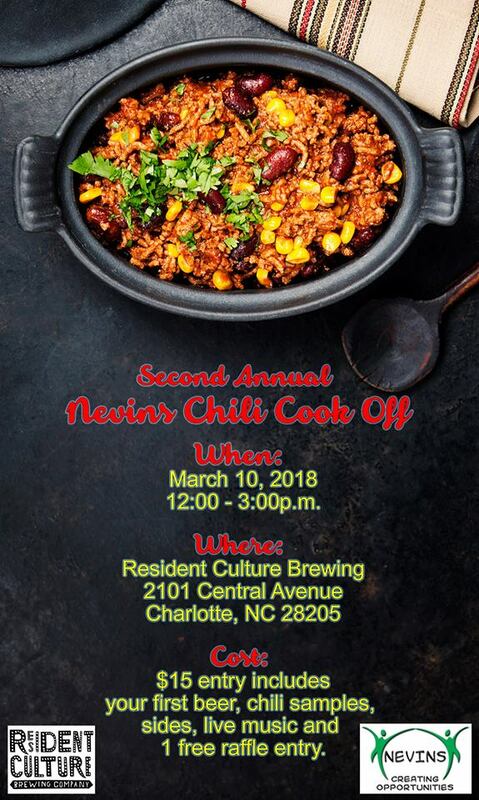 2nd Annual Nevins Chili Cookoff at Resident Culture Brewing! Happy Holidays! 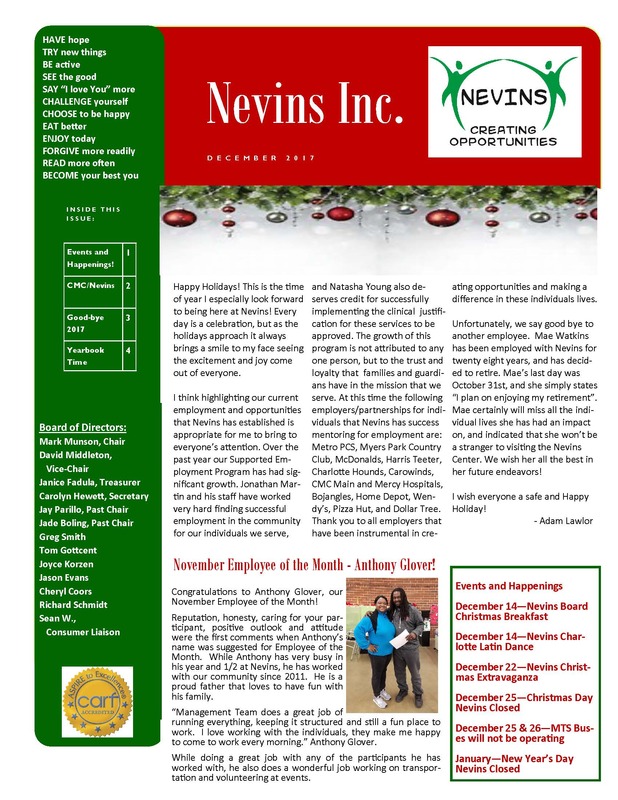 This is the time of year I especially look forward to being here at Nevins! Every day is a celebration, but as the holidays approach it always brings a smile to my face seeing the excitement and joy come out of everyone. 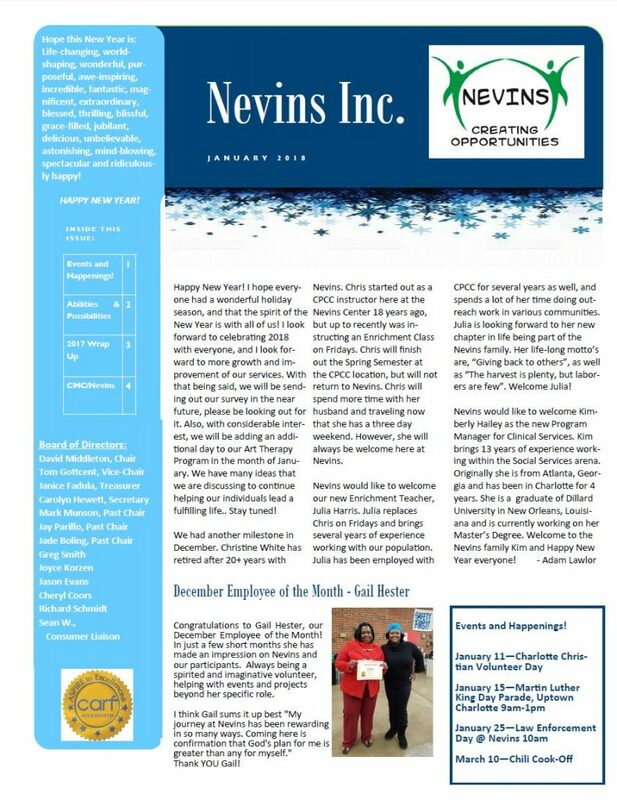 I think highlighting our current employment and opportunities that Nevins has established is appropriate for me to bring to everyone’s attention. 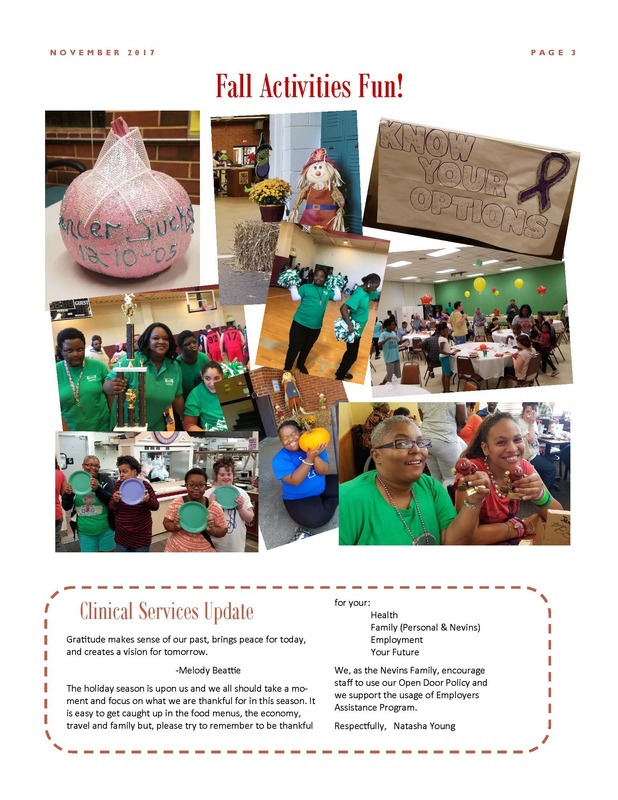 Over the past year our Supported Employment Program has had significant growth. 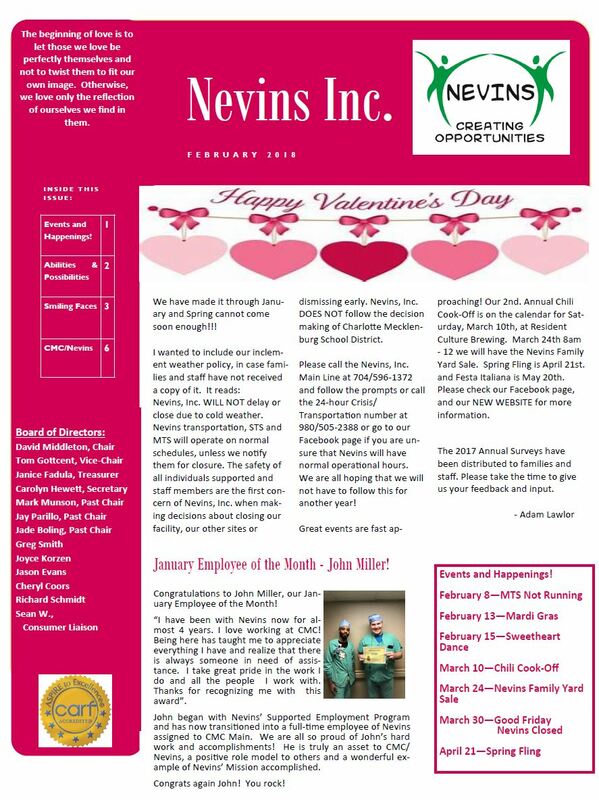 Jonathan Martin and his staff have worked very hard finding successful employment in the community for our individuals we serve . . . For More Download the whole newsletter here! The flu season is starting and will last through the fall and winter. More than one kind of flu virus will be spreading this season, including seasonal flu and the 2009 H1N1 flu. If you get the flu, you can get sick and can spread the flu to others at home, at work and in the community. If you don’t feel well, please stay home. It is important to remember to cover your coughs and sneezes and wash your hands often with soap and water or use an alcohol-based hand cleaner if soap and water are not available. Please educate the individuals we serve to do the same. 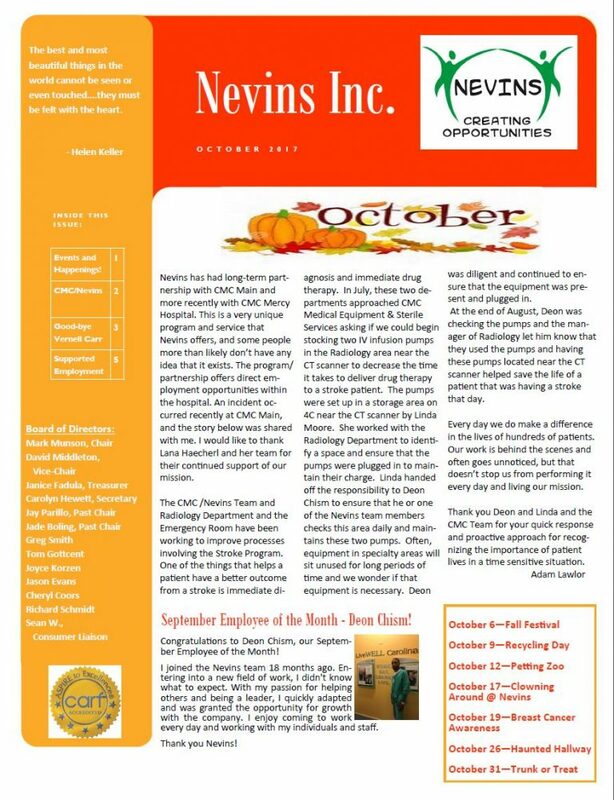 Download the November Newsletter here!